The Storyteller: MORGAN HARPER NICHOLS is an award winning songwriter, singer, author, speaker, and infopreneur and when you mix all of that together, she’s a storyteller. Played on radio stations around the world, Morgan’s song ‘Storyteller’ has been inspiring people to tell story their since it was released in 2015. Morgan’s songs have garnered over 1 million views on YouTube and she has been featured in numerous publications, magazines, and broadcasts including FOX Good Day Atlanta, Atlanta Journal Constitution, CCM Magazine, and many others. Currently based in Dallas, Texas, Morgan and her husband Patrick Nichols have a passion for people and spend their time working on various projects and traveling to serve, speak, and to tell their story. Morgan is the older sister of 2x Grammy nominated singer-songwriter Jamie-Grace and the daughter of James and Mona Harper of Kingdom City Church in Stone Mountain, Georgia. The Music: In 2015, Morgan Harper Nichols released her debut single “Storyteller” and self-titled debut album Morgan Harper Nichols. Produced by Paul Mabury, the album features collaborations with Jamie Grace, Mac Powell (Third Day), and All Sons and Daughters. As a vocalist, Morgan has appeared on 4 Grammy nominated projects (Hold Me by Jamie Grace, Whatever the Road by Jason Crabb, How Can It Be by Lauren Daigle, and Saints and Sinners by Matt Maher). 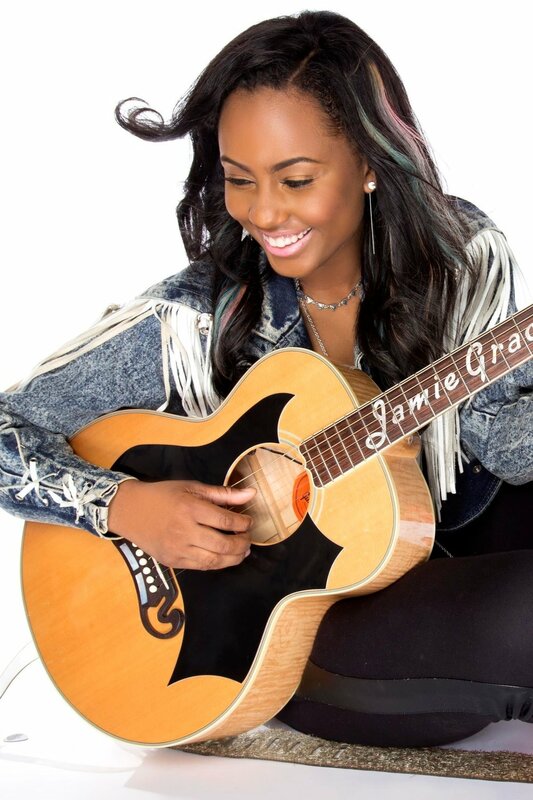 Morgan is also one half of the duo Harper Still with her sister Jamie Grace. It’s safe to say that Morgan wears quite a few hats (literally and figuratively) but she is grateful for every opportunity God presents to her. She has made her life work about helping other people tell their story. Danielle is currently based in Toronto, Canada. Her aggressive compassion has served people firsthand in countries all over the world. 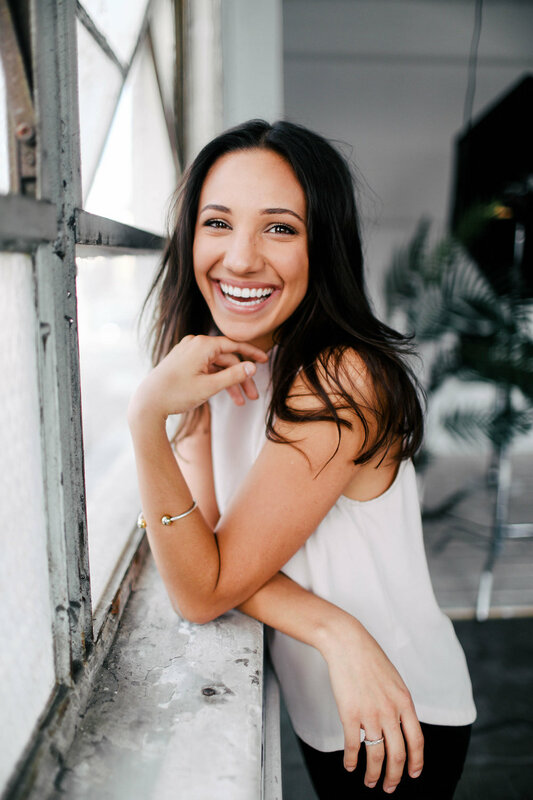 From establishing Justice Departments for The Salvation Army to launching global anti-trafficking initiatives, to creating new movements to mobilize people towards transformational living, Danielle trains, advocates, and inspires people to live differently. Crystal Chiang is the Director of High School Strategy at Orange. Before joining the team at Orange, she spent 10 years as a high school Spanish teacher and student ministry leader doing everything from small groups to speaking to curriculum design. She is the author of The Art Of Group Talk for Teenage Girls and a collaborator on a number of projects she loves including The Phase Project, Live A Better Story, and several books and devotionals. Crystal and her husband, Tom, live in Atlanta, GA with their embarrassingly ill-tempered chihuahua, Javier. Those words have been a mantra for South Side of Chicago native, Sharon Irving, songstress/songwriter/spoken-word-artist, worship leader, and actress, since she was a little girl, performing in front of the congregation at the south side church in Chicago where her grandfather was pastor. With loving encouragement from her mother and grandmother, Sharon has cultivated and shaped her own creative persona. She is an inspiring ‘voice for the voiceless’, a passionate wordsmith, singing songs of life and love motivated by her personal experiences, and undergirded by her Christian beliefs. Sharon has been a part of the worship team at Willow Creek Community Church in Barrington, Illinois for several years, has contributed songs and words of hope before thousands all over the country, and even entertained millions while a participant on Season Ten of “America’s Got Talent” where she received the coveted “Golden Buzzer” at her first televised audition and was chosen by America to compete in the Semi-Finals. Jess lives in Baltimore, Maryland and is currently pursuing her degree in Middle School Education from Towson University. 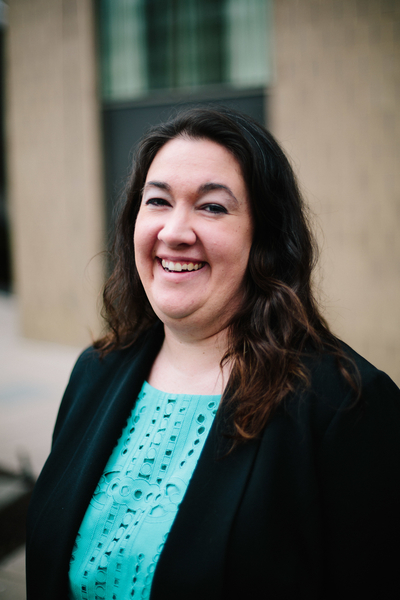 In addition to being a full-time student, Jess is part of the XP3 Students team at Orange, serves as the USA Project Manager & Assistant to the USA Executive Director for Carry 117, and works as a substitute teacher in the local public school system. When she’s not working, serving, or at school, you can find Jess exploring all the best coffee shops, smelling candles at TJ Maxx and Marshalls, and watching America’s Got Talent or The Voice. Sharon Comly has worked with many teens in her role as Client Services Director with the Pregnancy Resource Clinic and as a Small Group Leader with Calvary Church's Student Ministries. Her heart's desire is for teens to understand their purpose and beauty in Christ and to truly enjoy the young women God made them to be. She and her husband Dave live in Souderton and are parents of three young adults. Jennifer Martin is The Director of Gatherings at LCBC church and has been on staff at LCBC for over 10 years. She is passionate about teaching the next generation about Jesus and loves mentoring students. She lives in Elizabethtown, PA with her husband, Mike and her two daughters. Angela Lassandro is an igniter of identities – helping people see themselves more truly and find purpose and a way forward in their lives with intentional action. As a wife, mom of five, follower of Jesus, and executive for Johnson and Johnson, her experiences span a diverse landscape of people and situations. Her background in engineering blends with a passion for loving people and fascination with leadership to create unique processes for learning and growth. Her children range in age from 9 to 19, providing endless opportunities for learning, exploring, and being humbled by epic parental goofs. She currently is the Director of Regulatory for Johnson and Johnson’s Baby and Beauty Organization, working on well-known brands such as Aveeno and Neutrogena. She has expanded her abilities recently to be a trained graphic recorder as she constantly pursues learning new things. Her hope in life – whether in church, at home, or in the office - is to inspire and guide people to see themselves a little more like Jesus sees them – with love and grace and compassion. After growing up in Vernon, New York, Deb Turnipseed’s artistic adventure started at Parson’s School of Design in New York City and continued through various art workshops over the past forty years. She worked for Bristol-Myers in New York City for twelve years before becoming a stay-at-home mom to her two children, Luke and Olivia. While raising Luke and Olivia, Deb enjoyed multiple artistic outlets, including knitting, crocheting, gardening, and calligraphy. In 2014, she became a certified Zentangle Teacher and has taught Zentangle through group classes and private lessons ever since. One of Deb’s favorite moments is when one of her students, who previously thought they had no artistic ability, is surprised after they create something beautiful. In the past, Deb has volunteered as a small group leader for MOPS and a middle school and high school small group leader for girls, where she mentored and lead them through their graduation from high school. She has co-led several mission trips, including two to India. Currently, Deb volunteers weekly at Worthwhile Wear in Pipersville, PA and has a heart for helping girls and women in need. Deb is excited to see her family grow, as both her children have married and she welcomed her first grandchild (Emma) last May. Brenna Carnuccio is a singer/songwriter, actor, and filmmaker in Philadelphia and New York City. She studied and worked with Tony Savant at Playhouse West, Jim Parrack (True Blood, Fury, Suicide Squad), and Oscar Nominated writer Martin Donovan in Los Angeles. Brenna is formerly known in the Christian music industry as a lead singer/songwriter for the band Coastalrise. In addition to her personal work and projects as a solo artist, she currently leads TWLV Music and the TWLV regional movement of Providence Church in West Chester, PA, along with the Providence Artists Initiative which produces original films. Brenna is also on the volunteer staff at the Neema Project in Kitale, Kenya, working to empower and restore vulnerable young women and helping tell their stories thru film and social media. She is a former regional title holder with the Miss America Organization where she served the public from 2012-2014 speaking to women and girls on identity, gifting, individuality, and purpose. She hopes her story and the ways her life is being transformed by Christ each day can inspire the same in others through everything she does. Brenna is honored and thrilled to get to share some of that story at Unveiled 2019 and meet and learn from so many fierce women. Shannon’s passion is to create spaces where people meet and are transformed by Jesus. She has a Doctor of Ministry in experiential discipleship from Missio Seminary and has worked with InterVarsity Christian Fellowship for more than 30 years and has developed leaders in 20 countries. Shannon is the wife of OT scholar and author, David Lamb, and mom to two amazing boys, Nate and Noah. Her hobbies include scuba diving, drinking really good coffee, and throwing crazy parties. Clarissa is fashion stylist, educator, and artist. She loves helping women express their inner beauty on the outside by guiding them to identify their true style. As a high school teacher and arts enrichment business owner, she inspires children to find their creative voice in writing, acting, music, and art because we are created to be creative! She's currently co-developing a film-based storytelling program to help businesses, organizations, and individuals learn how to develop and share their creative stories.